As we will show, these activists’ concerns are much less about anti-semitism than about Corbyn and the trend he represents. Pro-Israel groups, who have strong backing among the party establishment opposed to Corbyn, fear he is changing the nature of the British political discourse about Israel and the Palestinians. Beyond this, they are worried that should Corbyn, or someone else from his wing of the Labour party, reach power, they will put the Palestinians at the heart of a Labour government’s foreign policy. Much is at stake. A strange, if largely obscured feature of the supposed anti-semitism crisis – set out at length in my first Mondoweiss article – is that so many of those accused and convicted in Labour of this hate crime are Jews. 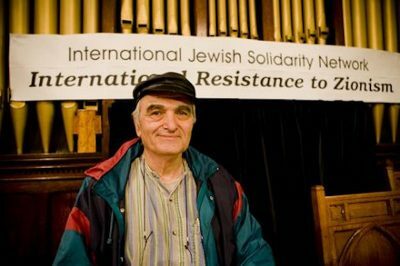 The latest person accused by the party of anti-semitism – and this week expelled – is Moshe Machover, a mathematician and philosophy professor at the University of London. He was born and raised in Israel. Machover appears to be among the first Labour members to be netted by a rule change on anti-semitism introduced at the party conference last week. Activists in a new group called Jewish Voice for Labour, launched at the conference, had warned that the change in wording would allow the party bureaucracy to expel members for “thought crimes”. In decrying an “anti-semitism plague” in Labour, the JLM and its supporters have claimed that they are not conflating anti-semitism with anti-Zionism. But Machover’s case clearly illustrates that they are precisely doing that. For this reason, observed Machover, quoting Zionist and Nazi leaders of the time, many Zionists welcomed the early policies of the Nazis, including even the notorious Nuremberg Laws of 1935. This was before the Nazis switched to a policy of extermination in the death camps. Both anti-semites and Zionists wanted Jews and non-Jews separated, and both rejected miscegenation. A similar argument, expressed more clumsily, led to the suspension of Ken Livingstone, a former London mayor, earlier this year. It is notable that the Labour party accused Machover of anti-semitism on the grounds that his article was likely to “cause offence to Jewish people”. It begged the question: which Jewish people? That issue had, in fact, become a battleground at the conference. Jewish Labour party activists had set up a new group, Jewish Voice for Labour, to act as a countervailing force against the traditional dominance of the JLM in influencing the party’s policies towards Israel and the Palestinians and against its accusations of anti-semitism by Corbyn supporters. Jewish Voice for Labour represents a broad range of Jews who have until now been marginalised in the Labour party, including trenchant critics of the occupation, anti-Zionists and supporters of BDS, the boycott movement. For the first time they have a collective voice within the party. As Machover observed, pro-Israel groups are in trouble in Labour and elsewhere. The letter from Labour head office also accused Machover of violating the definition of anti-semitism produced last year by the International Holocaust Remembrance Alliance (IHRA), an inter-governmental body. The definition has been adopted by the Labour party, as well as the British government. As Stephen Sedley, a Jewish former British appeal court judge, has noted, this raises many problems. If anti-semitism is defined as a “perception”, who is qualified to do the perceiving? And if anti-semitism “may be expressed as hatred”, does that not also imply, more troublingly, that it “may not be” so expressed. * Manifestations might include the targeting of the state of Israel, conceived as a Jewish collectivity. However, criticism of Israel similar to that levelled against any other country cannot be regarded as anti-Semitic. Any discourse that takes as its premise that Israel is not a liberal democracy, but rather a Jewish state, as it declares itself to be, or that it practises apartheid, or that it should be subject to a boycott, appears to fall foul of this definition. The JLM, however, had tried to foist on the party a more draconian definition: that an anti-semitic incident should be “defined as something where the victim or anyone else think it was motivated by hostility or prejudice”. Noticeably, the letter from Labour head office to Machover echoed this rejected definition. It objected to the use of “language that may be perceived as provocative, insensitive or offensive” (emphasis added). As Labour activist Bob Pitt observed, in the letter to Machover party officials rode roughshod over the new rule. “It is not enough for someone to perceive that an incident is antisemitic and be offended by it; it is necessary for the party to establish that the perception has a reasonable basis,” he wrote of the approved rule change. He used his column to attack three well-known Labour figures closely identified with Corbyn who had each dismissed the “Labour’s anti-semitism plague” as mischief-making. Freedland accused former London mayor Ken Livingstone, award-winning film-maker Ken Loach, and trade union leader Len McCluskey of anti-semitism denial and leading Labour into a “dark place”. Freedland, a former winner of Britain’s Orwell Prize, then indulged in some trademark Orwellian “newspeak”. He argued that the three leading Labour lights, as non-Jews, were not in a position to assess whether there was an anti-semitism crisis in the party. Only Jews could make that call – and, he added, Labour’s Jews were adamant that the party had a big problem. “On the left, black people are usually allowed to define what’s racism; women can define sexism; Muslims are trusted to define Islamophobia. But when Jews call out something as anti-semitic, leftist non-Jews feel curiously entitled to tell Jews they’re wrong, that they are exaggerating or lying or using it as a decoy tactic – and to then treat them to a long lecture on what anti-Jewish racism really is.